As our claim says, this design has been inspired by nature, this new shower system has a subtle elegance and allure in total harmony with the environment. 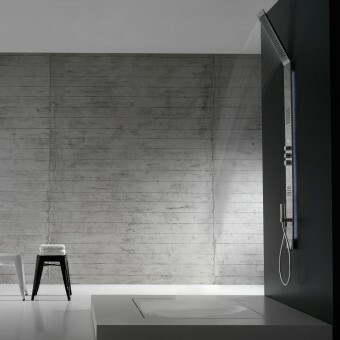 Obliqua, designed by Roberto Innocenti, is a new design shower by Zazzeri, which has a vertically developed shower head to create a simple, minimal look. The extremely slender Obliqua adheres to the wall with an innate elegance, naturally blending into the ambient. The clean, essential lines of Obliqua harmonize perfectly with any bathroom furnishing solution. 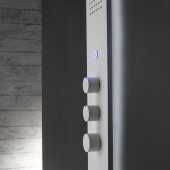 All the versions of OBLIQUA offer sensations of purity and simplicity combined with high efficiency and functionality. They will provide every bathroom ambient with a harmonious beauty that naturally invites the user to enjoy moments of relaxation and meditation. Moreover, the various finishes and different models available make it possible to personalize the shower according to the user’s tastes and requirements, even in terms of the price. All these features make OBLIQUA a truly simple product that is extremely easy to choose and buy. Obliqua’s sensational, comforting water flow is achieved through the innovative directional Flyfall Rain System that offers perfect control of water flow direction, reducing the area of water fall on the floor. This shower system has been designed for normal personal hygiene as well to enhance psychophysical relaxation. All the models have a thermostatic mixer with high flow regulator cartridge, filters/lock and 1/2” inlets and outlets. 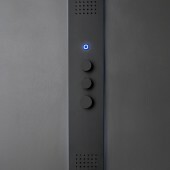 There are also four outlets controlled by two diverters with stop (rain showerhead, waterfall, body spray, hand shower). OBLIQUA is available in three versions (with slanted head, without slanted head and without slanted head with separate hand shower) each of which is available in a semi-recessed version with white LED backlighting and a built-in version without backlighting. It is a new architectural way to imagine the shower room, the main idea was an empty room with water coming out from the wall. To achieve this image in reality we had to overcome some design challenges like how to maintain very low thickness (12mm) for all the length of the shower also when outside the wall, how to control the water uniform filling of vertical shower against gravity and how to let water footprint on the ground be as next as possible to the wall in order to save space. We have solved all these challenges with the Flyfall ® water system. After Virgin and Shirò, Obliqua® is a job on one another way of us to imagine the relation with space and water. There is no solid and harmonic development without great experience, thanks to which Zazzeri, founded in 1929 in Florence, was able to become one of the best companies of the bathroom-furnishing sector. Experience, high professionalism, use of the best raw materials, attention to details, but also unquestionable talent in being able to perceive, and often influence, the trends of the market. This has made Zazzeri a unique reality that combines design and tradition. It was among the first to collaborate with important international designers for the creation of its collections, but it never forgot its artisanal vocation. The particular syntony with them led to the creation of collections that left their mark in Zazzeri's history and the entire bathroom-furnishing sector with different lines hosted in international design exhibitions (Junkomix exhibited at the MOMA in New York). Obliqua Design Roberto Innocenti Shower System by Rubinetterie Zazzeri Spa is a Nominee in Bathroom Furniture and Sanitary Ware Design Category. · Click here to register today inorder to be able to view the profile and other works by Rubinetterie Zazzeri SpA when results are announced. Obliqua Design Roberto Innocenti Shower System by Rubinetterie Zazzeri Spa is Winner in Bathroom Furniture and Sanitary Ware Design Category, 2013 - 2014. · Read the interview with designer Rubinetterie Zazzeri SpA for design Obliqua Design Roberto Innocenti here. 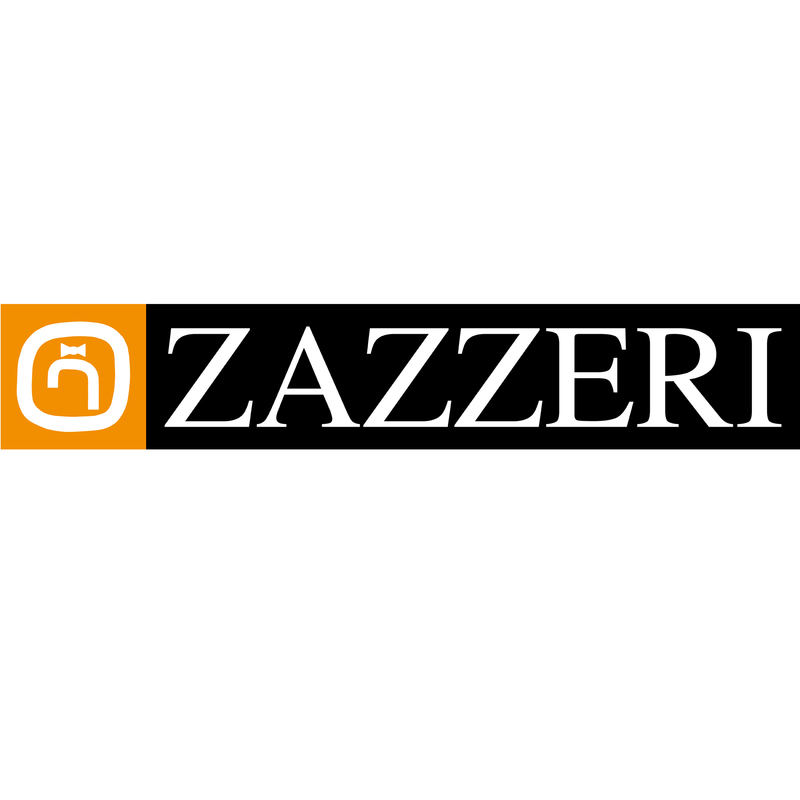 · Press Members: Login or Register to request an exclusive interview with Rubinetterie Zazzeri SpA. · Click here to register inorder to view the profile and other works by Rubinetterie Zazzeri SpA. Did you like Rubinetterie Zazzeri Spa's Sanitary Ware Design? 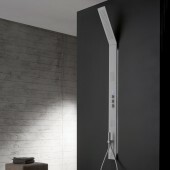 Did you like Obliqua Design Roberto Innocenti Shower System? Help us create a global awareness for good sanitary ware design worldwide. Show your support for Rubinetterie Zazzeri Spa, the creator of great sanitary ware design by gifting them a nomination ticket so that we could promote more of their great sanitary ware designs.